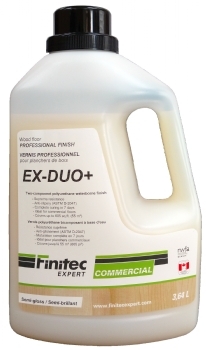 EX-Duo+ is specially designed for commercial floors. It is a two-component finish that offers a supreme resistance and fully cured in 7 days. EX-Duo+ enhances the beauty of wood without yellowing over time. Coverage 600 sq.ft. 3000 sq.ft.